Pep Guardiola said his team were flat in the first half; they still won 3-1. 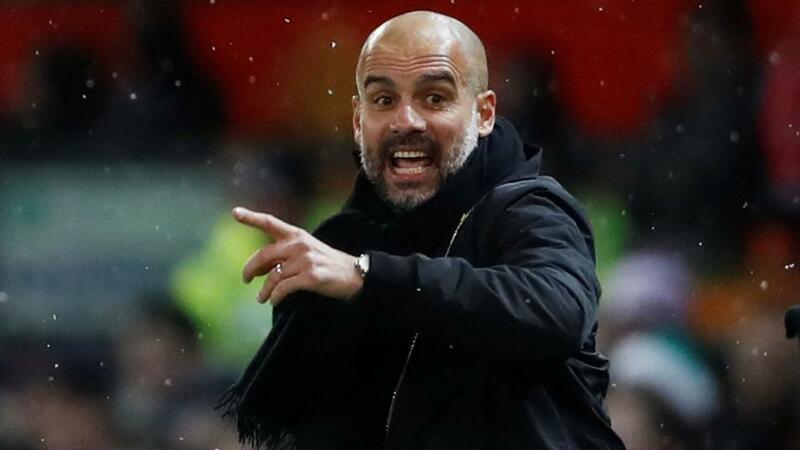 Many expected Manchester City to breeze past Bournemouth in their 3pm kick-off but it turned out to be a hard-fought match against the south coast outfit. Bernardo Silva opened the scoring after 16 minutes but the Cherries managed to grab an equaliser through Callum Wilson just before half-time; his seventh goal of the season. In the first half Man City were quite flat, only managing to create one shot on target, however it seems the equaliser got them into second gear for the second half, completely dominating Bournemouth from then on. Not much later, a goal from Raheem Sterling and a third from Ilkay Gundogan sealed the three points to move them five points ahead of Liverpool. In terms of the Outright Market, as you'd imagine, City are extremely short at [1.26], compared to the [1.75] around them at the start of the season. It looked to be another embarrassing evening for Manchester United after they went 2-0 down away to Southampton in the first 20 minutes. However, a goal from Romelu Lukaku thirteen minutes later to end his goal drought and one from Ander Herrera saw them come back to 2-2. More dropped points for the Red Devils means they don't see much of an improvement on their odds to make the Top Four, with the latest price being [5.3]. Leicester's win over Watford moved them up to eighth place, just one point behind Manchester United and are [7.2] to finish in the Top Six. Burnley do look in a sorry state at the moment. They've only had two wins in their last nine Premier League games, so it's no surprise that Crystal Palace took advantage and scored their first goals from open play at Selhurst Park this season. The 2-0 win saw them shoot up the table to 14th place and move away from relegation market as they are now [10.5]. The visitors however are favourite to go down at [1.52]. Newcastle's winning streak ended at three, as they received a 3-0 drubbing at St James' Park from West Ham. The Hammers are now in 13th place and look to be a world away from relegation as the market has them at [22.0] . Huddersfield's home defeat 2-1 against Brighton tightened up their relegation odds to [1.65]. Brighton, who are only four points behind Manchester United, have drifted to [14.0].